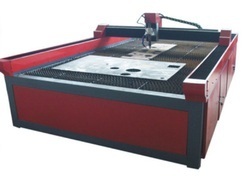 Our range of products include cnc plasma cutting machine and cnc router. Our offered CNC Plasma Cutting Machine is suitable for almost any application referring to the size of material because of the modular built such that the cutting dimensions can be increased. Furthermore, this is built from standard mechanical components and steel profiles, which makes it affordable as basic hand tools needed for assembly. This can be availed at leading market rates after a thorough check by our technicians to ensure compliance.